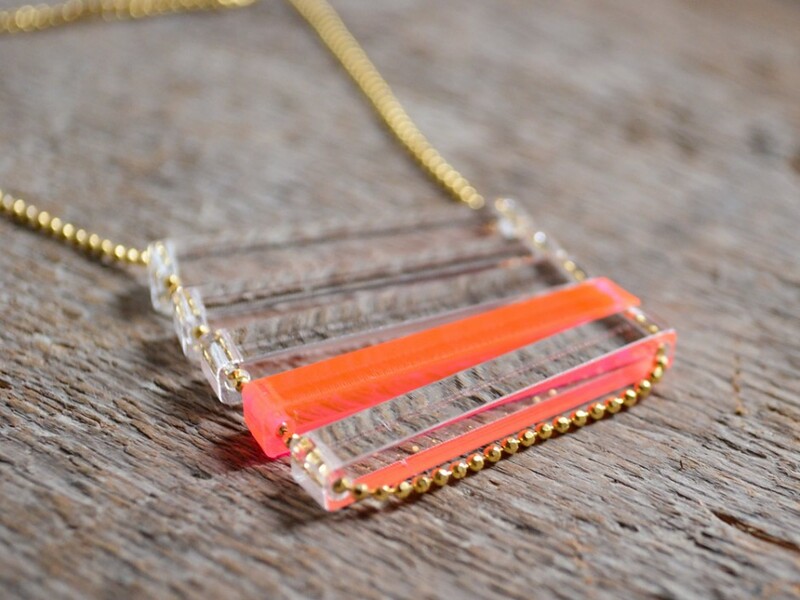 Modern neon pink and clear laser cut necklace! 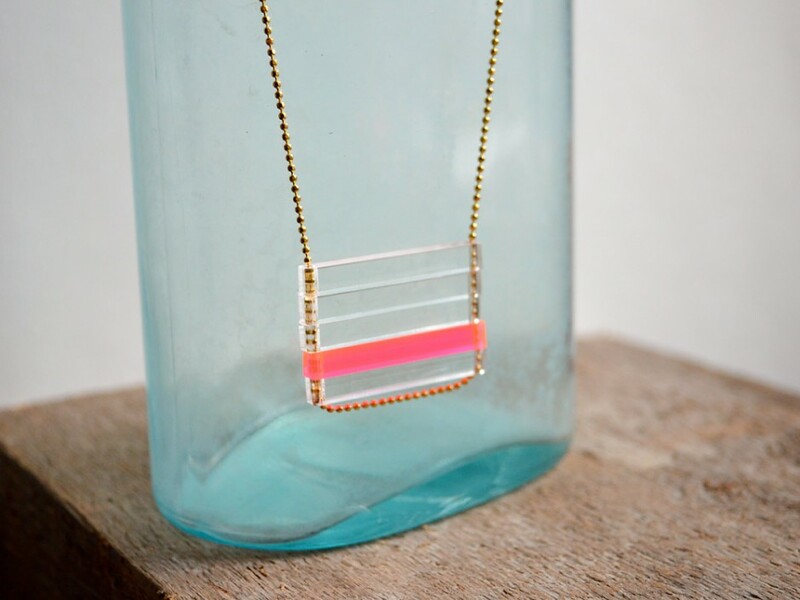 The fluorescent pink bead catches the light for an intense pop of color! It looks as if it’s glowing. 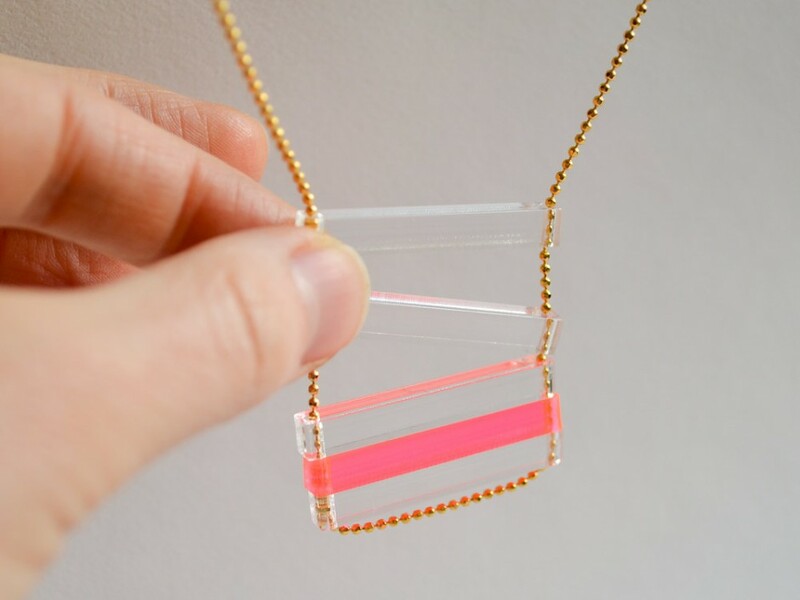 Great necklace for layering! 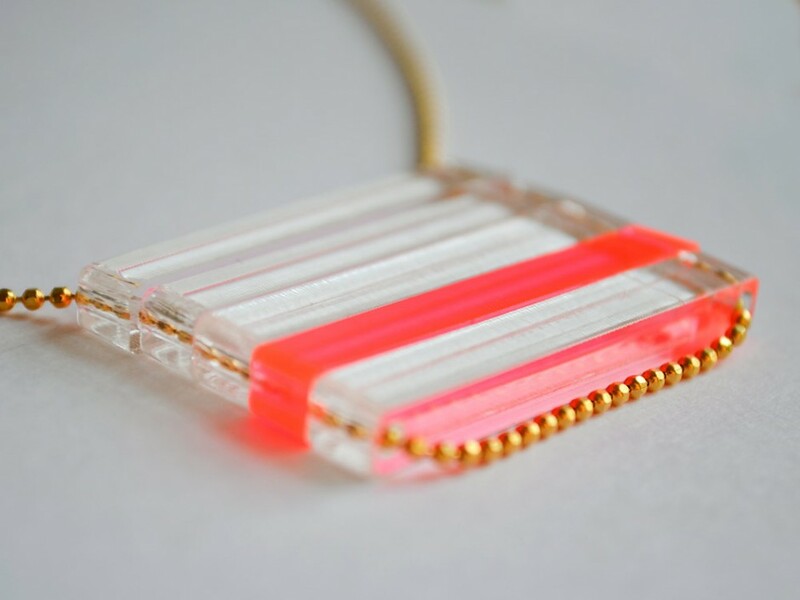 *Laser cut acrylic bars measure 1 1/2″ l x 1/4″w x 1/4″ h each. 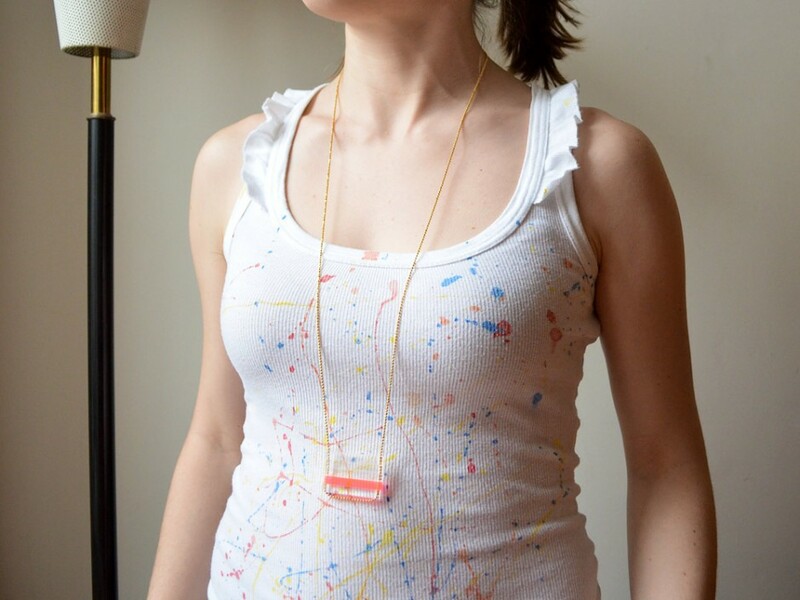 *The gold chain measures 36″ long. *The chain is gold plated and sealed in an anti-tarnish coating.